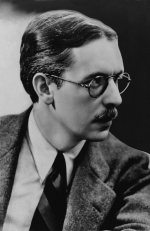 James Grover Thurber (December 8, 1894 – November 2, 1961) was an American author, cartoonist and celebrated wit. Thurber was best known for his cartoons and short stories, published mainly in The New Yorker magazine and collected in his numerous books. One of the most popular humorists of his time, Thurber celebrated the comic frustrations and eccentricities of ordinary people. A wicked Duke imagines he has killed time itself. When a giant terrorizes and tyrannizes the village it is up to the toy maker to send him packing. A reader for fourth grade students.